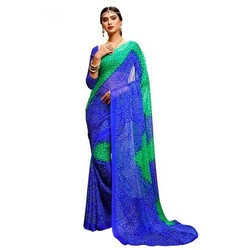 Our range of products include green bandhani saree, red-yellow bandhani saree, bandhani saree, blue-green bandhani saree, pink-red bandhani saree and striped bandhani saree. 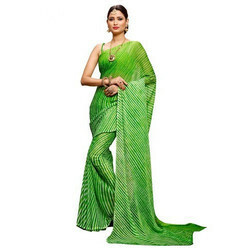 In order to cater the variegated demands of our precious clients, we are offering a wide range of Green Bandhani Saree. 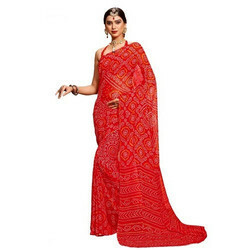 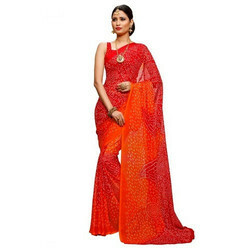 Aimed at prosperous growth in this domain, we are instrumental in offering an excellent quality range of Red-Yellow Bandhani Saree. 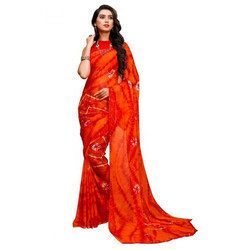 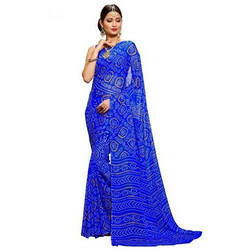 Being a foremost organization in the industry, we are actively engaged in offering the best quality range of Bandhani Saree. 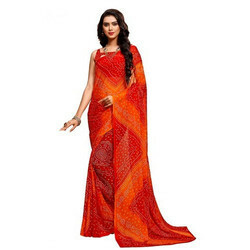 “Amam Designs” New Bandhani Chiffon Saree With Blouse Piece, Saree Length:-5.5, Blouse Length:-0.8,.